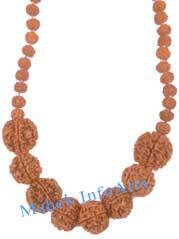 Rudraksh Malas are string of beads with specific number of beads. A rosary is the right instrument for offering prayers to God. 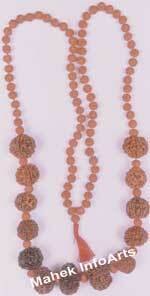 Separate string of beads is used for wearing in the neck and for counting repetitions of a Japa. The Japa Mala can have 27, 54 or 108 beads at the junction / knot. 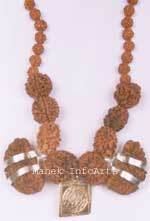 The neck Malas consist of a single type of beads like Rudraksh, Tulsi, Coral or rock crystal (Spatik). 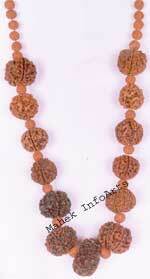 However Rudraksh beads can be used with either gold or crystal beads also. The neck Mala should be taken off before sleeping and can be placed under the pillow. The Japa Malas should be kept at Pooja room / alter. Care should be taken not to use Surya/ Vishnu Mantra with Rudraksh Japa Mala or Shiva/ Rudra mantra with Tulsi Mala. 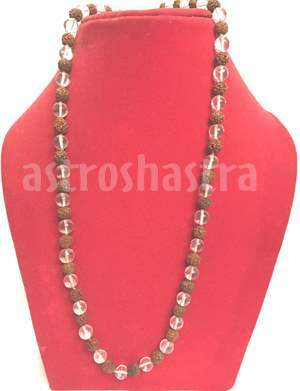 Before wearing first time a Rudraksh Mala, on a Monday morning, one should take bath before sunrise and the beads should be well washed in cow milk followed by in Ganga Jal. 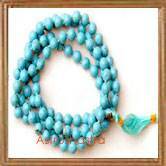 The beads should then be put in the Dhoop and after reciting "Om Namah Shivaya" 11 times; the Rudraksh beads may be worn. 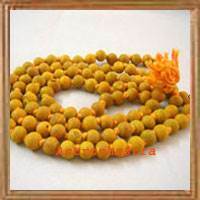 Different type of beads correspond to different deity and different elements and worn accordingly after sanctification by reciting appropriate mantra. They are made by combination of genuine, energized and selected by experts in Rudraksh therepy. 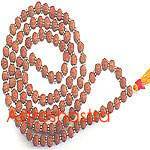 We have wide range of Rosaries of Rudraksha beads, combination of rudraksha with Gems stones and Yantras. We have different combinations to appease planets like Saturn, Rahu, Mars and Ketu and their respective lords, like Lord Shani, Goddess Durga, Lord Mangal , Lord Ganesha and they energised to give the wearer best effect. 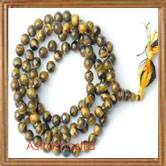 Check out our range of Malas, you can reach us at sales@astroshastra.com for any other custom made rosary. According to Shiv Puran , one can wear any number or combination of rudraksha beads as they never give any negative effect. 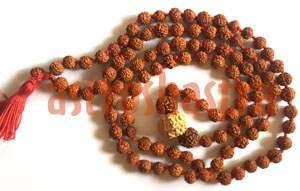 The energies of rudraksh are very pure and powerful, you can feel them instantly. We have other energized astrological products like Gemstone, Yantras etc. Astroshastra is committed to provide world with rare source of energy with purity and certificate of authenticity. 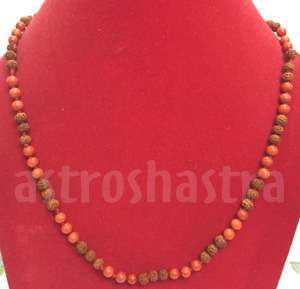 Our Rudraksha beads are not only genuine but are sent after being energize by rituals mentioned in ancient vedic literature. Please feel free for any other information and clarification in this regard. 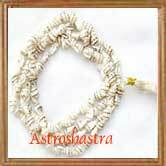 You can ask our Astro Experts for FREE RUDRAKSHA RECOMMENDATION .